Glass may be one of the oldest food and beverage packaging materials around, but the latest crop of glass jars and bottles is anything but old school. Driving the creative excitement is a new focus on unusual shapes, particularly for gourmet and luxury products. Callegari chose glass for its olive oil bottles to convey elegance and to provide functionality. The unusually shaped bottles are equally at home on the dining table and in the kitchen. Consider the packaging for Callegari Olive Oil, a premium extra-virgin olive oil. As part of its 2012 U.S. launch in New York, Callegari, Seville, Spain, worked with agency Pereira & O'Dell, San Francisco, to design two glass bottles for its oil. One of the bottles, which Callegari calls its "hero bottle," is the shape and color of a drop of olive oil, albeit considerably larger. The hero stands upright like a conventional bottle, but it can also sit diagonally, like a wine decanter, thanks to a flat area molded into the back of the bottle. The diagonal posture aerates the oil, which releases its fragrance. "Olive oil is not often brought to the table in its original package. Gourmet audiences usually use fancy oil dispensers," says Patricia Ebner, brand design director at Pereira & O'Dell. "Callegari is a premium olive oil, and we wanted to honor its quality by turning its packaging into a statement." The hero bottle pays homage to the "purity and simplicity of Callegari," she adds, and is both attractive and functional on the table. The second Callegari package, which takes its cues from classic perfume atomizer designs, emphasizes the product's aroma and the smell/taste connection. Squeezing the atomizer bulb produces a spritz of oil to lightly dress a salad. This package is a "vintage perfume bottle topped off with a vibrant purple pump, turning the salad dressing into a very personal and sensorial experience," Ebner says. Elegant, minimal graphics on the two packages are evocative of Spanish tiles. "Callegari is a premium olive oil from Spain and exalts Spanish legacy with minimalism," Ebner explains. "We've chosen to homage the fertile and rich soil from Spain that produces the world's most sought-after olive oil, and represent it though its exuberant iconic tiles." She adds that glass was the material of choice for both bottles partly because "other materials, such as plastic, can be absorbed by the olive oil or even create chemical reactions." In addition, glass "is considered a material with luxurious awareness, reflecting the attributes of one of the most indulgent and purest olive oil[s]." The perfume-style bottle holds 100ml, and the hero bottle is available in 250- and 500-ml sizes. Gourmet honey brands also continue to choose glass packaging, to convey quality and purity as well as for product protection. Imperial Yucatán Honey, Yucatán, Mexico, uses a distinctive square jar for its 100 percent pure, raw honey. The rare, organic, Mayan-style honey incorporates the nectar of flowers from the Yucatán Peninsula's dzidzilche bushes. Imperial Yucatán Honey's unique square jar complements the artisanal quality of the product and lets the rich color of the honey speak for itself. Advertising and branding agency Mixed Business Group, New York, designed the Yucatán Honey package. "The inspiration was to create a vessel for this incredible honey that was more perfume- or cosmetic-like," says Mixed Business Group creative director Marc Balet. "I was looking to make it more of a fashion statement than just another plastic squeeze bottle. That did not fit the product's intent." Glass was the appropriate choice for the package because "there is a certain weight that glass has -- not only in the physical sense but also in one's mind. This bottle feels like the product. It would look and feel right on a dining room table as well as in the boudoir," Balet says. To showcase the golden color of the honey, the package is made of clear, colorless glass. In keeping with the purity and simplicity of the product, the graphic treatment is understated. Brand and product information is silk-screened on the front of the jar in white and gold, and "the closure is a simple gold-colored screw top," Balet says. "I added a red-brown color to complement the gold and to make the Imperial Yucatán Honey logo pop." H.J. Heinz Co., Pittsburgh, chose a glass jar for a new line of gourmet ketchups that it introduced recently in Europe. The products are designed for adults, with flavors like Balsamic Vinegar, Basil & Oregano Tomato Ketchup. The 300g jar, which echoes the styling of Heinz's iconic glass bottle, features debossed details and is decorated with a full-body shrink sleeve. The package's good looks make it suitable for table use, and its large mouth makes spooning out the product easy. Heinz worked with Luxembourg-based Ardagh Group to design the package. The 12-oz. Yucatán Honey package launched in December 2012, and currently the product is sold in the U.S. via the Internet. Grupo Pavisa (www.pavisa.com.mx), Naucalpan, Mexico, created the mold for the glass jar. Luxury and quality also are the themes for AnestasiA Vodka, as the brand's arresting package design illustrates. "The main idea of the packaging was to reflect the innovation of the product," says Yuliya Mamontova-Calian, CEO and co-founder of NUMbrands Inc., White Plains, N.Y., which developed the AnestasiA brand and product. In contrast to many other premium vodkas, she explains, AnestasiA is not imported; it's made in the U.S., in Oregon. Additionally, "the vodka is premium. It is five-times filtered. It's a superior-quality product and a luxuriously smooth product, as well. We wanted the packaging to represent luxury and innovation but without necessarily being gimmicky or having diamonds all over it." Designed by Karim Rashid Inc., New York, the AnestasiA bottle is sculptural and angular, more closely resembling a décor item than a liquor container. The unusual shape, rendered in clear, colorless glass, resembles a faceted crystal or a piece of ice. Bruni Glass, Milan, Italy, supplies the AnestasiA bottles, which incorporate recycled material. The crystal concept extends to the glass-like plastic closure, which incorporates a synthetic cork stopper. The closure is made of Surlyn resin from DuPont, Wilmington, Del. One of the AnestasiA package's key innovations is that the bottle has no neck. "The neck is really an archaic form" that dates back to when bottles were blown individually, Mamontova-Calian explains. "But today glass is not made this way … [bottles] are made out of molds." She adds that her bottle's unconventional shape does not hinder product use; in fact, the package's ergonomics were considered during the design phase. Because the AnestasiA bottle is so unusual, the brand often lives on after the product has been consumed. "Many people keep them as a vase or decanter. The shape is iconic, so it's recognizable even without the name on it," says Mamontova-Calian. Packaging for The Vini wine is breaking the mold, figuratively speaking, with a pioneering bottle shape. The brand owner, The Vini Exceptional Wine by the Glass, Sonoma, Calif., uses a custom-designed glass tube as the bottle for its high-end, single-serving wines. The package is "a glass vial. It's made with a very lightweight, seamless glass," says Sunny Fraser, CEO and founder of The Vini, noting the package's "elegant appeal." Though tall and narrow, the tubes can stand on their own. Each 10-in.-tall tube holds 187ml of wine and is topped with a Stelvin screw cap. The closure, a familiar one in the wine industry, eliminates cork taint and adds convenience. Amcor Flexibles, American Canyon, Calif., supplies the closures. The Vini's owners, who are boutique wine makers, developed the package as a by-the-glass alternative for premium wines. The retail price of a tube of The Vini is about $10, or a little less. The company sells the product in four-packs and as singles. "We're trying to revolutionize fine wine and make it more accessible," Fraser says. "Even people who aren't necessarily wine drinkers may look at this and say, ‘This is a really cool package for wine, and I want to try it.' " She acknowledges that the price point is higher than lower-quality single-serving wines in plastic bottles or aseptic cartons, but she's optimistic that "for under $10, [consumers will] give it a shot." At the other end of the consumer spectrum, oenophiles benefit from the package because it lets them enjoy one glass of wine without opening an expensive bottle. And in cases where one person prefers white and the other red, each can enjoy a glass of the wine they like best. The company currently is bottling wine blends in The Vini format but plans to fill its own varietals into the tubes and to offer the package format to other premium wine makers, as well. The Vini sells its red and white blends online and through gourmet markets and upscale hotels (in-room and in gift shops). Wedding- and event-planners and on-premise accounts are additional audiences. Fraser explains, "The whole idea was to put high-quality wines in a single-serve format and allow fine wines to be something that people could have every day." 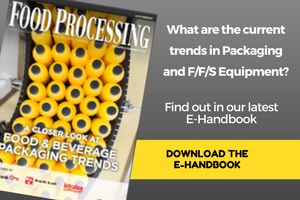 This article originally appeared in our July 2013 issue of Food Processing magazine. Transparency gives bottles and jars a boost as processors push for greater product visibility.